iF your life was a movie, your wedding would be one of the most memorable scenes. Let me provide the soundtrack. I combine my years of experience, high level of professionalism, and awesome DJing abilities to help make your wedding just how you envisioned it. MUSIC: From ceremony to cocktail hour to dinner to dancing, I will work with you to customize the song selections and genres to create the perfect atmosphere that you want. I also can make custom edits of songs to extend or shorten them to fit your desired timing. Don't want to do that special dance with your parent for 6 whole minutes? Let's edit it down a bit! EQUIPMENT: I utilize top quality sound, lighting, and DJ equipment to make sure that everything at your wedding sounds great, and that you are worry-free. I can provide multiple sets of microphones, speakers, and lights based on you what you need and where in the venue you need it. From the officiant's jokes, to the embarrassing story your best friend mentions in a toast, to your slightly tipsy cousin going all-out on the dance floor to their favorite song -- everything will sound (and look) great! DJ RATES: No two weddings are the same, so I make sure to customize my DJ package rates to fit the specific needs of each couple -- that way you are getting everything you want, and not paying for things you don't. Each package is a flat rate, meaning that I won't charge for additional hours or travel. 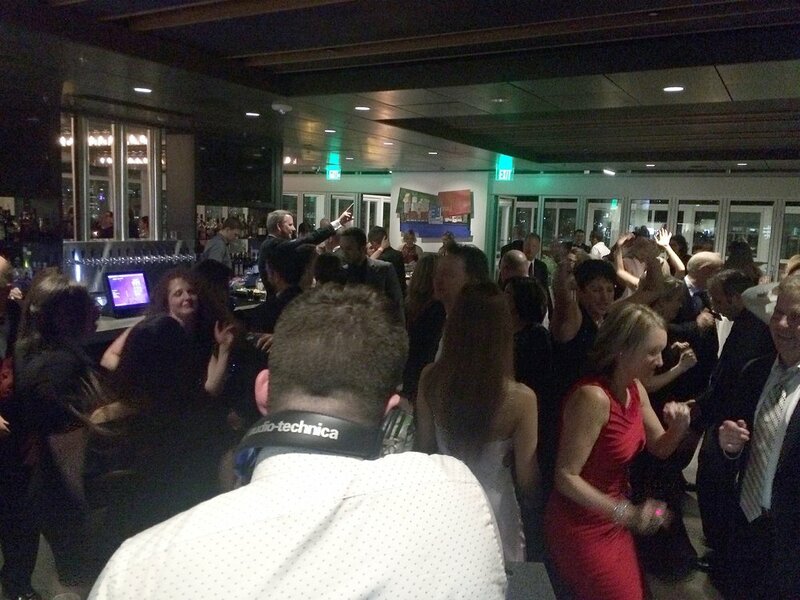 If you want to keep the dance party going for a little while longer at the end of the night - let's do it! Here's a quick sample mix of the variety of music I can play for wedding parties to get the people dancing. Every wedding couple has different tastes, so I work with you to come up with the perfect mix of songs to create an awesome atmosphere -- from the beginning of the ceremony all the way to the hyped up dance floor at the end of night. MIGHTY MOVES FOR THE WIN!!! 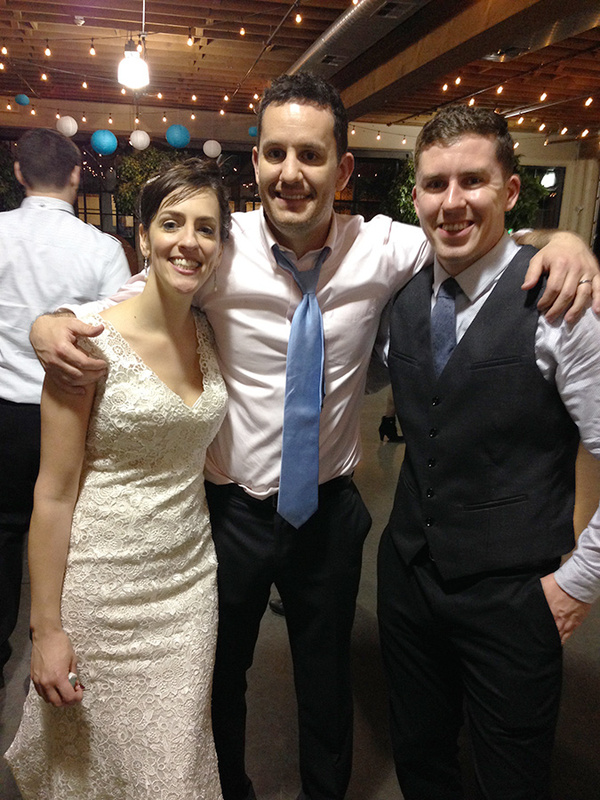 We had DJ Mighty Moves, Brian, play at our wedding and he did an amazing job. Brian was very thorough in going over the type of music my wife and I wanted. He knocked it out of the park with his choices for the wedding by putting together an amazing mix of 80’s music that got the guests super hype. My wife and I had initially been one of those couples who thought they were clever enough, tech-savvy enough, and knowledgable enough to figure out the music on our own. Thank goodness we realized how wrong we were and that Brian was still available (the advantages of a Sunday evening wedding!). We contacted several DJs and ultimately chose Brian because it was clear that he was, above everyone else, completely receptive to all of our requests for how we wanted the wedding reception to go. We wanted to have a continuous, upbeat, dance party with a lot of pop music from the 90s and 00s and no themed dances or unnecessary announcements - and that’s exactly what we got. Now, at this point you may be thinking, “great, so he did what you asked, isn’t that standard?” You’d think, right? But in our searches, other potential DJs really pushed us on doing the electric slide and other such ‘crowd pleasers,’ when we knew that those things weren’t for us. But way more importantly, Brian is a legitimately amazing DJ in the actual smooth-transitioning, tempo-matching, song-blending, and dance-maintaining sense. Additionally, he has a great breadth of music knowledge. When we weren’t sure what music to have playing during dinner, he was ready with suggestions for us to check out. Above all, you want the music to sound good. And it will. 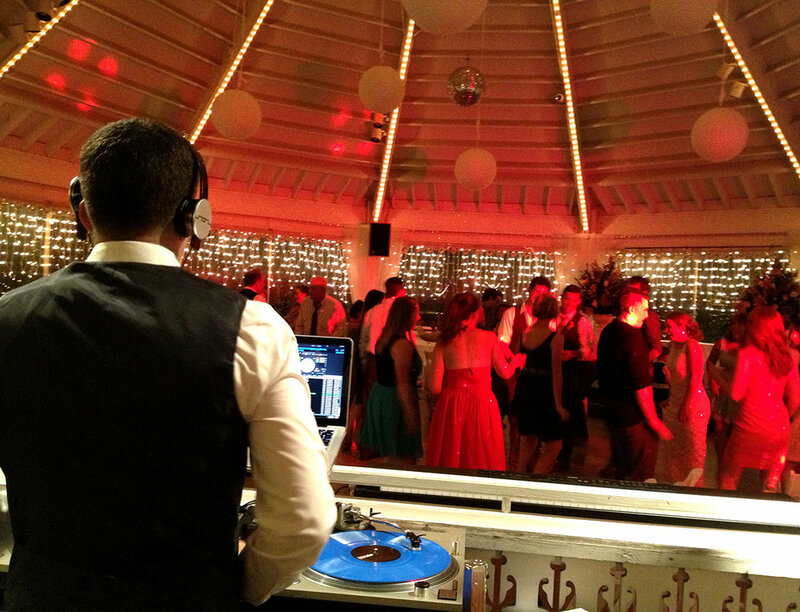 I could not have asked for a better DJ, both on the wedding day and leading up to it. We were very specific in the music we wanted and what we expected from a DJ, MC-wise, for the evening and he came through 100% - personally, I don’t think there was a single “miss” song during the reception and I don’t think I left the dance floor for more than a song or two.